Over on the SLOG, Dan Savage reports that an organization calling itself Citizens Against Citizens Against Humor (CACAH) has declared May 20, 2010 “Everybody Draw Muhammad Day, complete with a satirical poster drawn by Seattle’s resident art world cartoonist Molly Norris. * (Facebook event here.) This gesture is, of course, in response to the current controversy regarding the censorship of an episode of South Park that featured a depiction of Muhammad (who turned out to not really be Muhammad after all) in a bear costume. 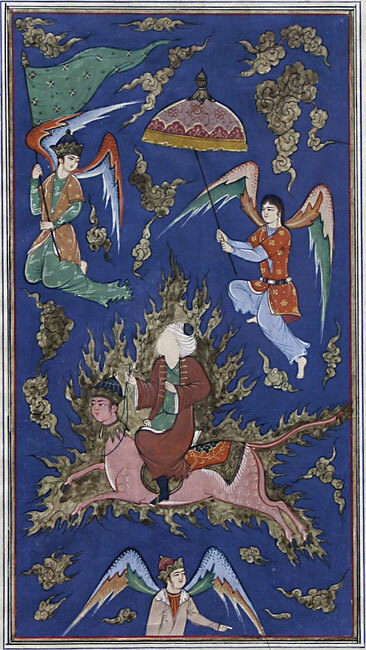 If I decide to celebrate May 20 by drawing my own portrait of the Prophet, I can take my inspiration from one of the hundreds of representations of Muhammad drawn by faithful Muslims over a period of several centuries that I was able to access immediately using Google Image Search. 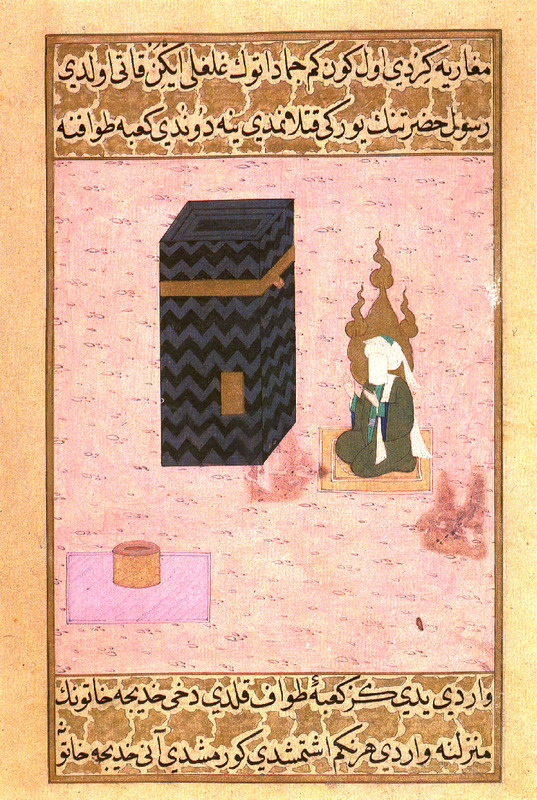 Opposing the representation of deities or other figures or objects is called aniconism, and the phenomenon is not unique to Islam. Examples may be noted in many cultures throughout history, from the convention against representing the Highest God among many African tribal religions to the Byzantine iconoclasm of the 8th and 9th century. Indeed, the belief that representations of God encourage idolatry makes its way to Islam by way of Judaism and Christianity. In the Old Testament, God gives Moses a commandment against “graven images” (promptly stored by Moses in a tabernacle decked out with, ahem, graven images of cherubim), and, as I have discussed elsewhere on this blog, America’s Puritan ancestors had a palpable distaste for representations of Jesus. In general, the rationale for aniconism stems from the imperfection inherent in all representation, which, no matter how faithful, may never truly capture the thing-in-itself. When the object of representation is GOD, the inherent imperfection of the process creates a resounding paradox. The act of attempting to codify the ineffable is fundamentally at odds with the very notion of there being an ‘ineffable.’ As we have seen, aniconism has often surfaced as a reaction to this paradox. In and of itself, aniconism as morally neutral. That is to say, I don’t think there’s anything inherently right or wrong about it when it is practiced willfully by the faithful. 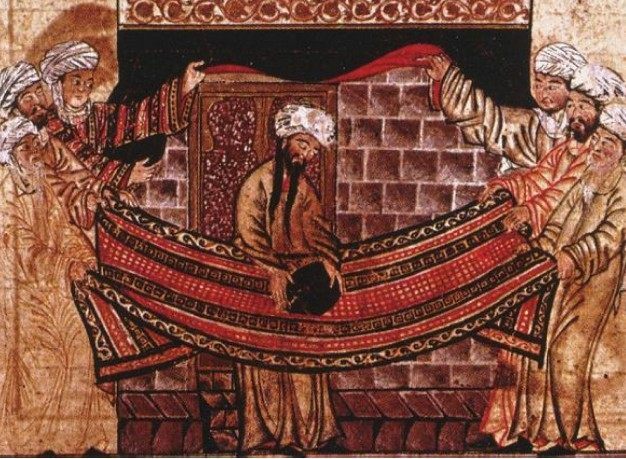 (In fact, a cursory study of Islamic art reveals an unparalleled tradition of geometric abstraction that has thrived as the result of this limitation.) Yet most of us can agree that imposing the rule of aniconism on outsiders—specifically when this imposition comes with threats or acts of violence—crosses the tragicomic axis where the attempt to enforce an ethical code becomes its own moral transgression. I do think there is a lesson to be found in the South Park controversy, and I suppose I’m not entirely convinced it will be learned by participating in the mockery of a deeply philosophical aesthetic and religious tradition, as vindicating (and fun) as that might feel. The lesson I take is that fundamentalism comes in all shapes and sizes, occurring whenever we project our human shortcomings onto that-which-eludes-codification. When we see an obvious example of fundamentalism at work in the world, let’s allow it to serve as a reminder that no one among us remains untouched by the [un]holy paradox of the limitations of perception. And then try to capture the likeness of that in a graven image. *UPDATE: Molly Norris, the cartoonist behind “Everybody Draw Muhammad Day” has since backed off her suggestion, which she intended as a joke. Please do not kill her. ~ by emilypothast on April 24, 2010.